No homeowner wants to deal with plumbing problems, but they often don’t know there’s a problem until water is running all over the floor or a drain is backed up. They may try to stop the water or clear the drain, but have little to no success. That’s where Spartan Services can help. With our expert plumbing repairs, your pipes can be back to normal in no time. Whether there’s a flood in your basement or the drain in your laundry room is clogged, call us immediately for professional plumbing services. When you call for repairs, we’ll come prepared with the tools and parts necessary to fix the problem. Our first priority will be to pinpoint the source of the issue and explain what exactly went wrong. 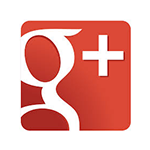 Next, we’ll discuss your repair options and provide honest pricing on parts and service. Above all, we want you to feel comfortable that you’ve made the right choice in calling us, and that we’ll be able to remedy the situation quickly and professionally. If for some reason we don’t have the part you need, we’ll go get it right away. 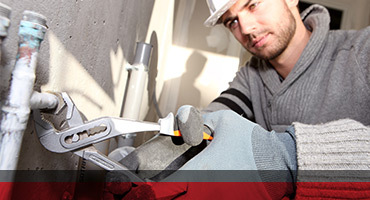 If your home needs new plumbing, or your current pipes need a tune-up, we’re here to help. 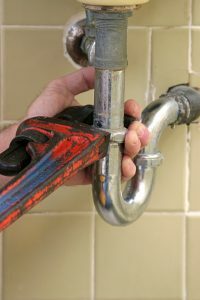 We can provide regular service for those common plumbing issues, or emergency service for those catastrophic issues that require immediate attention. We’re available 24/7 to take your call, and we’ll get to your home as quickly as we can, ready to tackle the issue. We want you to have the peace of mind that once we’re finished, your plumbing won’t surprise you any more with leaks, clogs, or other problems. 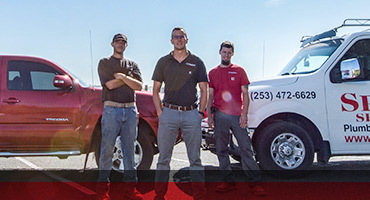 Contact us at (253) 231-7661 or send us a message at info@spartanrooter.com today!